I have to admit that when I first found myself on Instagram, I was a bit #hashtag challenged. The #tags seemed to be everywhere and did not necessarily seem to have a specific purpose. I don’t use twitter at the moment so the @whoever was new to me as well. Having done a little playing, a little exploring and some #hashtagging, I thought I would share what I have found. First off, a hashtag is simply a word or set of words paired with the # (shift +3) sign from a keyboard. To create a hashtag, just put that sign in front of it and be sure to leave out spaces. To use a hashtag well, you may want to click on some hashtags you see others using before tagging with it. I am always fascinated with how my brain puts two words together and how someone else puts those same two words together to mean something else. On Instagram, hashtags can be often found more abundantly in the comment of a photo. This helps to keep your feed and gallery clean. There, the hashtags often take you to galleries specifically set up for a type of photo. Facebook has recently introduced hashtags as well. Like on Instagram, the hashtag when clicked will take you to a group of posts from Facebook similarly tagged. Again, the idea is to have the hashtag have a specific context but we all know people like to take things in funky directions from time to time. Be aware that occasionally, a hashtag will develop a spin off so that a subset is created. For example, #nothingisordinary can also be found tagging with #nio_something. When creating a hashtag, you want to avoid the #longrunonsentancesortoftag, unless you are trying to be funny. Some say to avoid them altogether. I find witty ones fairly comical. If you want people to use your hashtag, be sure to tell them when and how to use the tag appropriately. This helps to eliminate some of the funky usage. So what is the point of all this #hashtagging anyway?? I have to admit that when I first started, I did so in a “if you can’t beat em join em” sort of mentality. What I discovered was a lot of fun however. In clicking and using hashtags, I discovered people who had similar interests. Their photography inspired me and led me down pathways to new adventures with a desire to push myself a bit. I believe I have only scratched the surface. I also discovered photo contests and daily themes. The lovely moderators at #colorsoftheweek have a daily color theme. 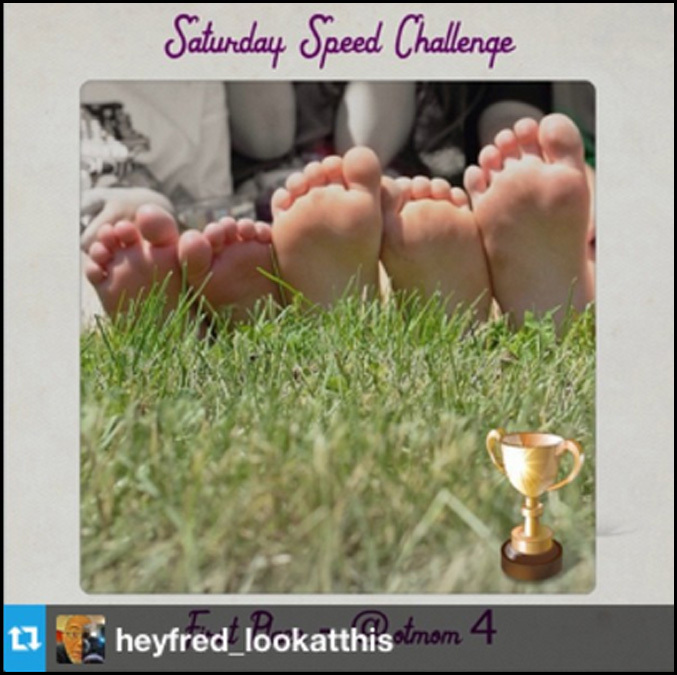 The fun guys at #heyfredlookatthis have drive by timed weekend challenges as well as regular theme challenges. Who can’t use more creative fodder on a blah day? Finally, I discovered that when I used hashtags, especially to themed galleries vs. a #flybymakeitupmyself hashtag, my photos hit a bigger audience. Now, I have to clarify that by “bigger” I mean I can see people “liking” and commenting on my photo and occasionally going into my gallery to poke around a bit more. Turns out that if you track this same thing on twitter, you can see a difference in engagement there as well. It has been fun to click into other galleries this way and it is easy to see little hashtag connected communities forming. So if you haven’t tried using hashtags to generate buzz, to generate community or just to inspire yourself, you really should. You may just have #alotoffun!! !